Emerging from one of the world’s most notorious failed states, Somaliland has become an oasis of relative democratic stability in the troubled Horn of Africa. What does its story teach us about democratic state-building? At a time when democracy seems to be in retreat in many parts of the world, Africa presents a more mixed picture. 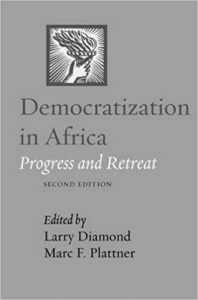 Democratization in Africa: Progress and Retreat brings into focus the complex landscape of African politics by pairing broad analytical surveys with country-specific case studies.